If you’re building an online business, promoting physical/digital product or service on social media, chances are you’ll have to talk actively to people. Who you talk to determines wheter you’ll get lots of rejections and NOs or you’ll crush your business fast. 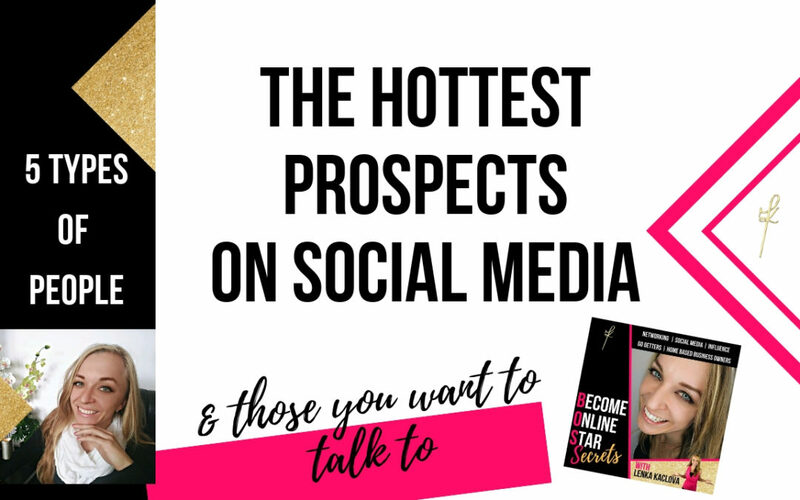 Who are the hottest prospects on social media? 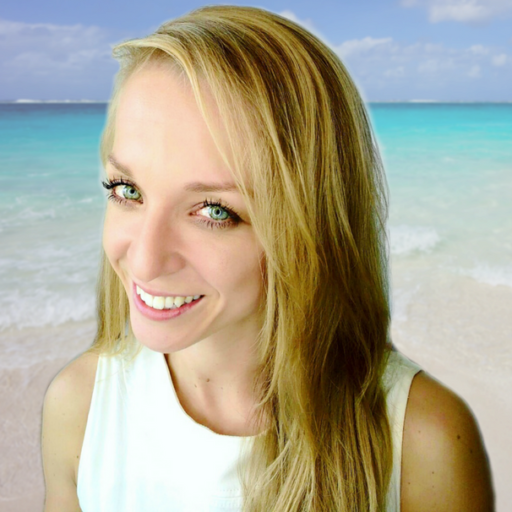 Who to talk to to crush your online business? 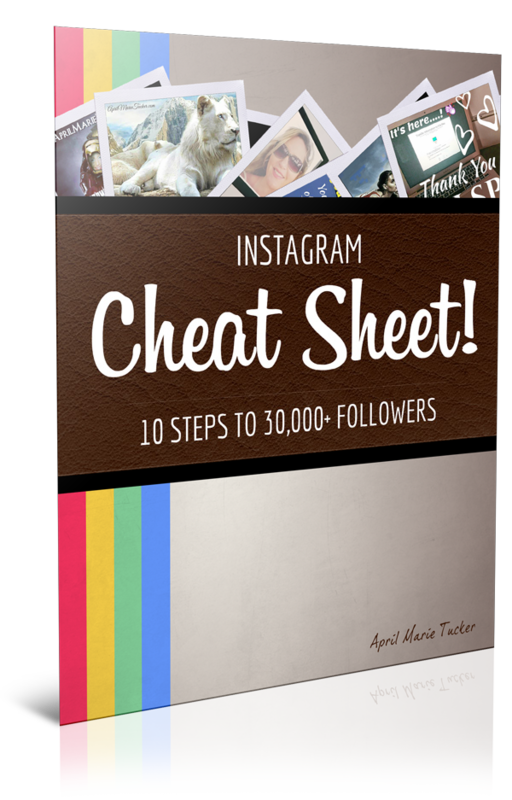 What types of people you can find on social media and who are the best prospects? Look at these 5 types of people. Look who you are talking to today because maybe that is the reason you are getting so many NOs and check out who to talk to instead. This category is actually called clueless. People who are not searching for anything. They are satisfied with their situation, taking it as it is. They don’t care about living paycheck to paycheck, one vacation a year. Saving up months to buy anything. This category has the “I can’t afford it” objection, but they have the newest iPhone. Their priorities are on different level. This group of people will give you the most NOs. Info or opportunity seakers realize they have a problem. They want to quit their job or loose weight, but they are stuck in the “looking for” mode. They want more information, searching online for possibilities, they look and look. This group of people is the first one to comment on your curiosity and promo posts, but they never take the next step. They don’t actually watch the presentations and if they do, they stop answering your messages, never read them because they’re from you because they’re not ready to make the next step. They sit on a fence and procrastinate. That’s a reason 12 months from now they’ll be exactly at the same place. So you’ll get lots of NOs here too. Third group of people are researchers. This group knows they have a problem, they are actively searching and researching for hours. They watch every presentation and review, unfortunately even those black hat strategy ones where competition talks bad about whatever you offer and offer their own products instead. That way researcher found why this opportunity or product is bad and they are on new research of that “better” one. So they need more and more time, but again they’re not ready to invest in themselves and they never start. Group of Buyers is a group you are actually interested in. These people have already invested in themselves. They have bought tools, courses, mentorships, went to events and they understand that in order to change their lives, they need to change themselves and that requires investments and effort. These people are either still in the industry or have quit for some reason. The fourth group of prospects on social media has already seen there is a better way and they want better future for themselves, but they are NOT happy where they are right now. 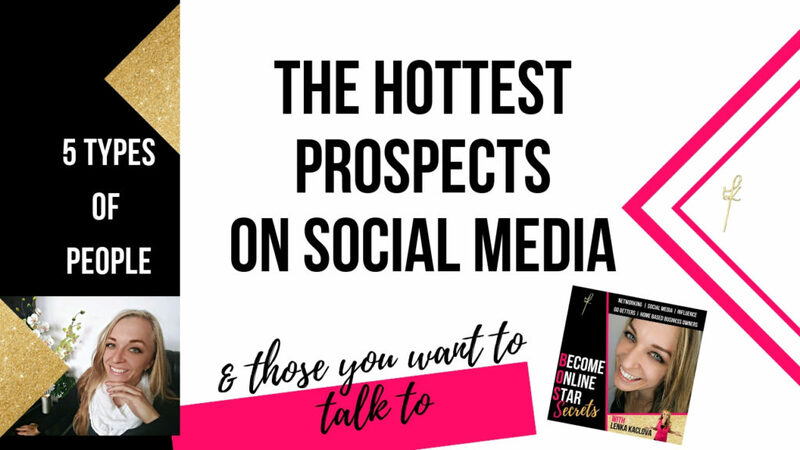 You want to be building relationships with these prospects because when the moment comes and they start looking and are opened to see something new, you want to be there and not miss that moment. The really hottest group of most quality prospects are in leaders group. But be careful. Never try to crosspromote or recruit a person who is happy in one company to another. Successful people and leader may be in the industry for decade or longer. If they use old school methods, they have reached their success using them and duplicated, this may be a restart for them. People who have seen online business industry are not willing to follow these old school strategies or they adjust it using online tools. These leaders also eventually see the difference in duplication. Also affiliate marketers with long history use ads and email marketing that has brought them success. These methods still work however brand new people have more and more difficulties duplicating these results as the online marketing world evolves. Using attraction marketing, building brand online and creating influencer/authority position requires time and money investments, but builds long term results and everyone understands it. When using simple duplication system, you leverage your efforts and your business can skyrocket in much shorter period of time. When having the authority position, leaders respect you and what you do for the industry. You serve people and provide so much value you have natural respect and that’s something that’s enough for them to do business with you WHEN they are opened. Want to know more?